Hotels near USA Beauty School International, Inc. 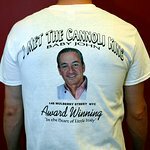 Description: Visit the Cannoli King®, today! 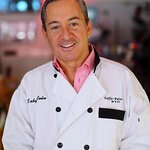 For 45+ years, Baby John, owner of Caffé Palermo, has provided people in NYC and ALL OVER THE WORLD with the best Italian pastries and the BEST cannoli that money can buy! 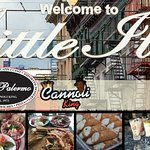 We have proudly been a must-stop shop in Little Italy for four decades and we are committed to being here for many, many more. 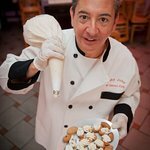 In addition to the world famous cannoli, we serve lunch, dinner & other pastries. Including the standard beverage choices, Caffé Palermo offers a wide selection of specialty hot, iced & blended teas, gourmet coffee, cocktails, white and red wine, along with craft and domestic beer. Indoor and outdoor seating. Family friendly. Local delivery / catering + shipping available. 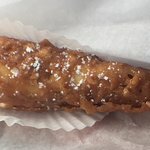 Visited here as I tried an Almond Cheesecake cone when I was in the US before, it was amazing and I'd heard that this place did the best! Literally my favourite desert, I only wish I had the recipe or there was somewhere back in the UK that made them. I could go back to NYC purely for another one of these!!! 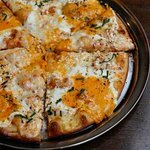 You have to try one! 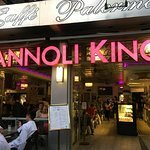 My wife and I and our friends from Australia visited Caff Palermo after a carriage ride through Central Park. Upon entering, the glass display case with all the available pastries beckons you to come over and take a look at all the delicious selections. 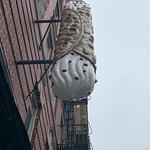 My Son had been in New York in November of 2017 and recommended Caffe Palermo as having the best cannoli he's ever tasted. 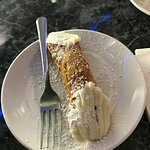 Our group opted for vanilla and chocolate cannoli and a very large eclair. I drank cappuccino and was surprised at the rich, full bodied but yet smooth taste. My wife, my resident coffee snob, had regular coffee which she raved about. 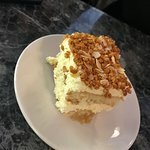 If your sweet tooth is bent on being satisfied, Caffe Palermo is right up your ally. An awesome experience for the eye and palate. Definitely 5 STARS. Anything and everything is delicious here... 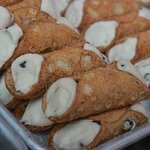 Try the signature cannoli, the roasted almond tiramisu, and any of the specialty coffee drinks - you can't go wrong. The waitstaff are friendly and efficient. 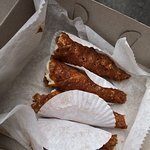 *Tried cheese cone because it claimed to be Oprah-recommended. If true, I need to listen to Oprah more often. This sticky cheese cake dessert is one of the best things I’ve eaten in NYC. *I like that there are different sizes. Comes in handy when you’re not in the mood to shell out $6.50 for the bigger size. *I say this about every place in NYC, but it’s not cheap. Smaller size is $3, but it’s on the tiny side. I was looking for a good Italian coffee and a classic dessert. My mistake was to ask for a mochaccino which was only chocolate and not a tasty one. I don't recommend other coffee than expresso. Desserts were good. The service was fine but they could improve customer care. 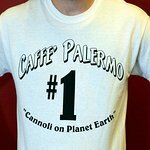 Been to Caffe Palermo? Share your experiences!